Farnborough – 23 August 2016 – Datum Datacentres today announced that Ian Mace has joined the company as Data Centre Site Co-ordinator to further ensure the smooth running of Datum’s secure and resilient facility in Farnborough. Ian brings a wealth of experience having spent the last 24 years with Vodafone where he was responsible for data centre selection, data centre operation, infrastructure and project delivery in various roles across the organisation. Part of the Attenda Services IT group, Datum data centres are trusted by enterprise and service provider clients as secure environments for content, data and business critical IT. The environmentally efficient data centre supports hybrid compute, high power densities and connected DR. 2N power infrastructure delivers always-on availability whilst enterprise class service ensures client peace of mind. Datum FRN1 has capacity for more than 1,000 co-location racks within a high security campus in Farnborough, which is fast developing as a strategic London-edge data centre hub. 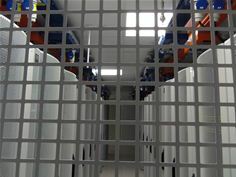 The facility incorporates a pressurised free cooling design that delivers enhanced environmental efficiencies and supports high density computing to 30kW per rack as standard. Always on availability is supported by resilience in both design and operations underwritten by a 100% uptime SLA with helpdesk and remote hands services which are available 24×365.